← Let’s gather at Troquet next Tuesday! “If you mistreat one, you mistreat all of us. 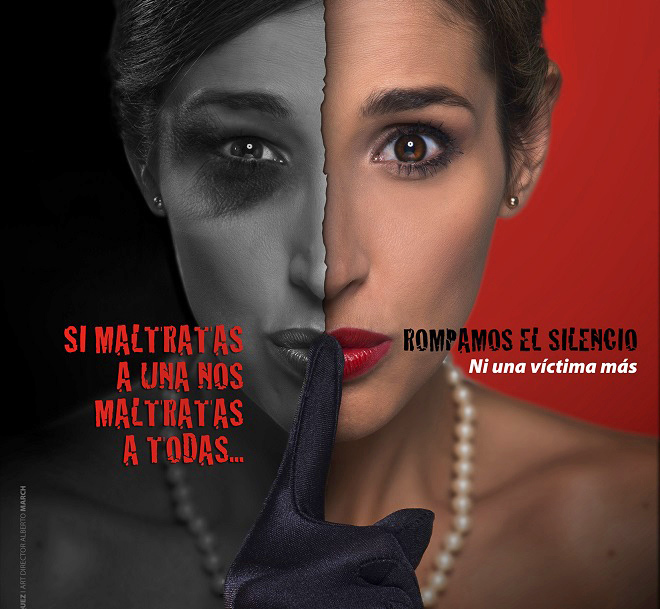 Break the silence, no more victims” reads the campaign. By Ana Gil-García—YOU MAY HAVE SEEN and heard about the “Ni una Víctima Más” campaign in Chicago. The concept developer, the journalist Leda Santodomingo has partnered with “Mujeres Latinas en Acción”, the oldest Latino women non-for-profit organization in the United States, to help disseminate the information on an issue greatly affecting the Hispanic/Latino women and that most media outlets avoid talking about. The campaign has attracted many women of all social strata, educational background, political spheres, media, etc. More Hispanic and non-Hispanic women are joining the campaign day-to-day. The immediate purpose of the campaign is to produce a PSA (Public Service Announcement) that most Spanish and English TV, radio shows, and printed media have agreed to deliver and use. The 200 women in black PSA will be filmed on September 8th at the Instituto Cervantes at 6:00 pm. Right after, the monologue “Cuando sea grande” (Spanish language) will be presented followed by a wine reception. 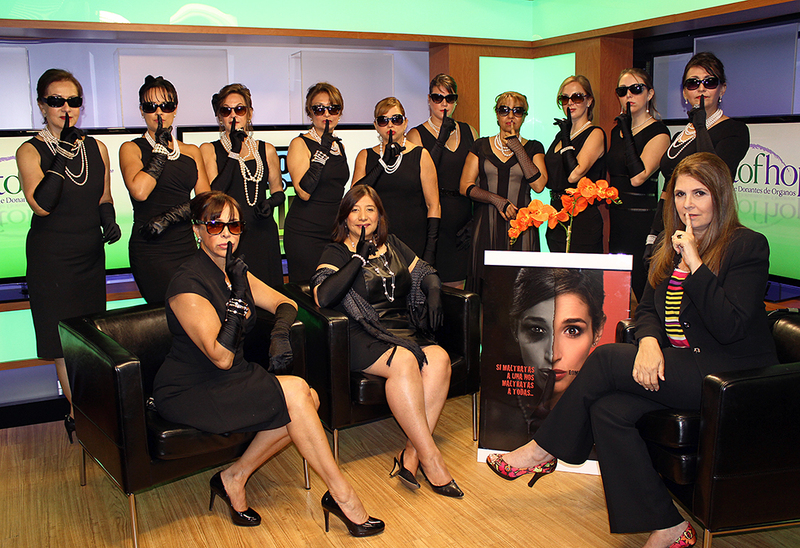 Why black and pearls “Audrey Hepburn-style” campaign? The elegantly dressed woman in black wants to send the message that domestic violence does not discriminate any particular type of woman (uneducated, low social class and poorly dressed female). It is an epidemic, according to the World Health Association and United Nations, that has arrived in most women’s homes without any distinction. The Board of the Chicago Chapter would like to invite the Fulbright women to join “The Women in Black” campaign and be part of the 200 women who will participate in the filming of the PSA. WHEN September 8, 2014 at 6 p.m.
Members of the Chicago Chapter Fulbright Board have chosen to sponsor three Latin American female Fulbright students to attend the reception after the filming. The campaign is still in need of $1,000 to pay the PSA production. Get your tickets HERE if you would like to participate, attend the reception, or make a contribution. 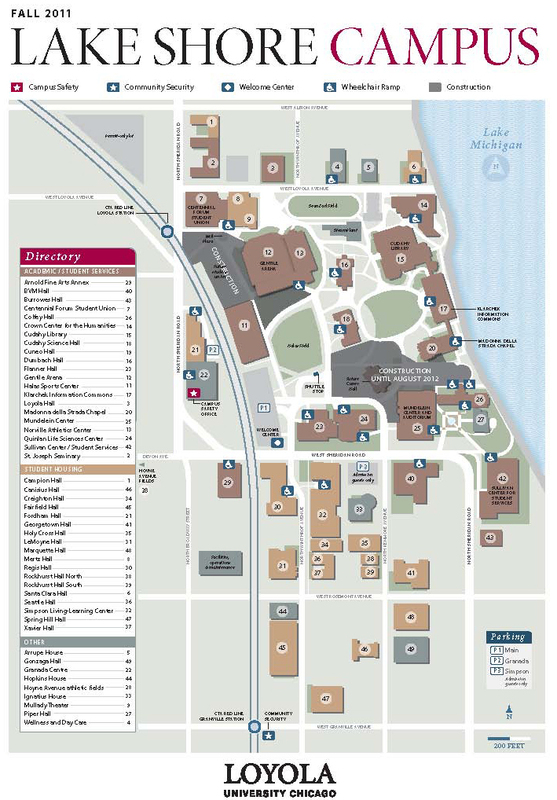 Any money will help, and the Fulbright Chicago Chapter logo will go on the program and credits of the PSA. This entry was posted in Chicago events, Fulbright and tagged Ana Gil-García, Chicago, Chicago Chapter of the Fulbright Association, Cuando Sea Grande, Events, Fulbright, Fulbright alumni, fulbright association, Fulbright scholars, fulbright students, Instituto Cervantes, Latino women, Leda Santodomingo. Bookmark the permalink.